Our sense of smell is a glorious thing. The delicious smell of roasting coffee beans, the sharp zest of fresh-cut orange peel, the heady aroma of lavender in a Provencal market, the cool rush of crushed peppermint in the nose, the crunchy-burnt smell of sticky brown sugar. All of these smells delight us and urge us to breathe deep, relax and calm the mind. Just as importantly, all these gorgeous natural scents can be used on your skin. 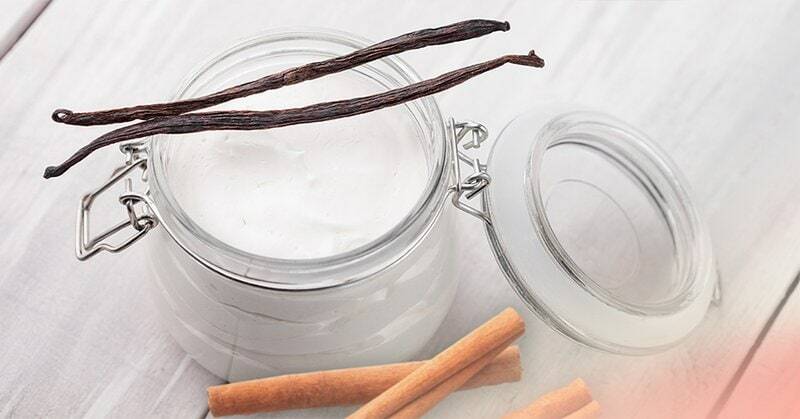 You can slather creamy whipped peppermint butter onto your skin, use a soft sugar scrub with vanilla on your face or soften your cracked winter lips with a mint shea butter. You can give your hair a break from the chemicals with a softening essential oil shampoo. Or what about some peace and a good night’s sleep with a lavender oil burner or a long hot bath with a honey and rose oil bath melt? All of the above products have three things in common: They are pure, they can be made easily and cheaply at home, and they all have essential oils in them. This means that they not only smell divine but will also benefit your health and spirit. Essential oils have been used for millennia, both to calm the mind and relieve pain and disease symptoms. Medical research has only quite recently started to assess the efficacy of essential oils. Nevertheless, they have already found them effective in combating anxiety and depression, pain, PMS, nausea … and even tumors! Of course, inner health leads to a radiant youthful complexion. Essential oils have been shown to support cell growth … leading to clear complexions, less wrinkles and soft shiny hair. But that’s not all. They have amazing effects when you use them together with vegetable oils, mixed with one of your other creams and lotions, as steam bath or hot towel or in your bathing water. A few drops are enough. Whatever you want … reduce wrinkles, increase circulation, soothe inflammation, purify your skin, … there is an essential oil for it. Essential oils have also been proven to have a powerful impact on our emotional state. 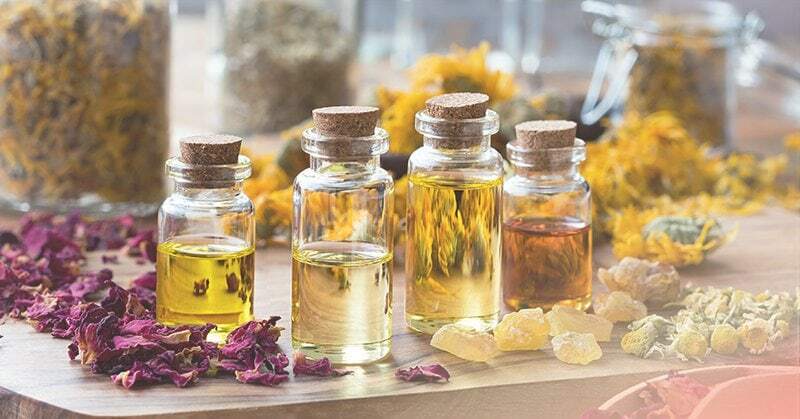 Because they are so pure and condensed, essential oils stimulate the olfactory receptors, activating the parts of the brain associated with emotion, memory and state of mind. 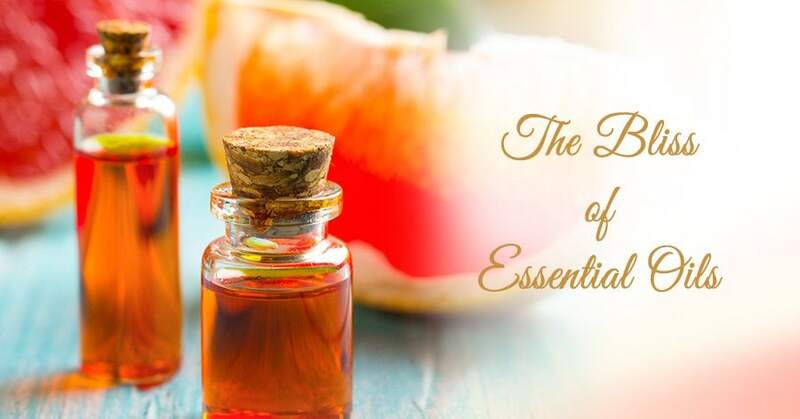 Below is our absolute favourite recipe to get you started using essential oils in your beauty and wellbeing regime. Your other option, of course, is to continue buying chemically laden products at the drugstore, which are known to hold carcinogens, hormone disruptors and skin irritants. Remember, even if you just replace one of your conventional products with a glorious-smelling and effective natural cream or scrub, you are doing your body a favor, inside and out. Also, these home-made goodies make a simple, loving and economic gift for any occasion! * Please note: essential oils are powerful; don’t use them on the skin or ingest them without dilution and checking first. Many people are suddenly discovering to their delight that coconut oils and other butters can be whipped at home to provide a heavenly body butter that melts straight into skin warm from the shower. This deliriously lovely natural product turns the chore of applying moisturizer into a silky, minty pleasure. Melt coconut oil, cocoa butter, and shea butter together in a pot over low heat, stirring to combine. When it’s completely melted, take off the heat. Add the sweet almond, vitamin E, and vanilla and cinnamon oils and mix thoroughly. By this stage your kitchen will smell heavenly. Breathe! Put it in the fridge for an hour or two – but don’t let it get too solid. Use an electric mixer to whip it into soft peaks. Scoop gently into jam jars or any suitable container. If you are making this a gift (or a gift to yourself), make the jar pretty with ribbon, raffia or a beautiful home made label. The body butter should keep for 6-12 months at room temperature.